Hello guys! I'm back again as promised. I can't promise I'll always be this prompt. I can be a little scatter brained. Thanks for downloading the papers yesterday. It's nice to know people like my work. Today I have the elements for you. Remember to send me the links to pages you do with the kit. I would LOVE, LOVE, LOVE to see them. I'll be back soon with the alphas. Just click on the preview to download. Also, let me know if you have any problems with the files. I'm pretty new at this. I also use GIMP to create my kits, and I want to make sure everything works with PhotoShop. Merry Christmas! Thank you so much for this Freebie. 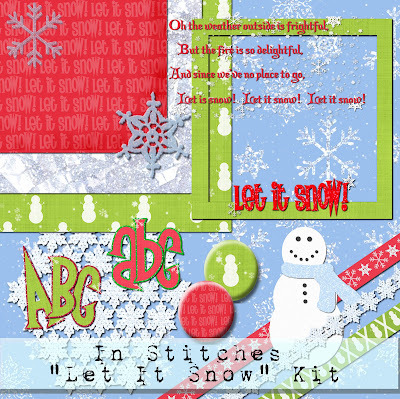 I want to let you know that I posted a link to your blog in Creative Busy Hands Digital Freebies Search List, under the C - Kit(s) - Winter Celebrations - Christmas post on Dec. 19, 2008. Thanks again.